This is quite an intriguing EP. It’s very much set in an Americana style with the predominating sounds here based on country music. Still, there is folk, rock and more. 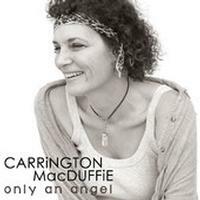 Carrington MacDuffie’s vocals are varied between spoken and sung and work well in either format. I’d like to hear more from this artist because this was just enough to really get me interested in the MacDuffie’s music. Percussion starts this. As the other instruments join we get a real Americana vibe with a spoken vocal over the top. When it moves into the song proper MacDuffie sings. This has some cool slide guitar and a lot of country music in the mix. Although this is still quite country in texture, there is an almost Island vibe to it. This has a carefree, fun feeling to it. 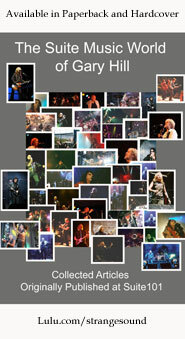 Dramatic and powerful, this is more or less a rock ballad. It’s not far removed from some of the early music from Suzanne Vega. It’s got a real folk music vibe and comparisons to folk progressive rock wouldn’t be out of the question. I liked the first two songs, but this is even stronger. Folk and bluegrass merge on this effective number. That said, it also has a lot of modern rock sound in it. The vocal line really sells this, but there is some killer instrumental work in it, too. The organ on this lends a retro texture to the piece. Comparisons to Suzanne Vega wouldn’t be out of the question here, either. That said, this is more of a rocker than most of the set and it’s got plenty of country in the mix, too. This is definitely one of the best pieces here, making it a great choice for closer. It’s got a lot of blues and rock and country music in the mix. It’s an especially effective piece. I like it a lot.